I jumped into something for the wrong reason, or so it seemed. The Nativity Pageant, a drama I have witnessed many times over in various Christian parishes, is a tradition I’ve loved and still do. Taking on the organization of a parish pageant is, however, quite another thing from being an adoring parent watching—and not the usual comfort zone for an introvert like myself. Angels, help! I can remember when our 4 children were young and used to put on their own home pageants. They would dress up in bathrobes, crowns, aka old hats, a broom for a shepherd’s crook, wire hangers with tissue paper (or ripped pajamas) for angels wings, and a makeshift cradle. I don’t remember what they used for straw. The two older sisters would produce, direct, and have the most important roles, i.e.Mary and the Narrator. The younger brothers would follow orders, very happy to wear crowns and hold crooks, or be Joseph. The reluctant Siamese cat, Coco, was always cast in the role of the baby Jesus, a star role in which she was most uncooperative, scratching anyone who tried to restrain or swaddle her. Mostly there was an audience of one, me. I applauded and adored, as one should for any effort done with such earnest care and cool. I said I offered to help with this parish pageant for the wrong reasons. What I meant was: I was tempted by my own idea that I could give this great Christian story some extra gravitas within its essential simplicity. 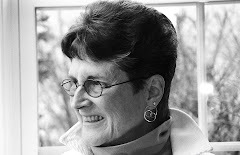 Such arrogance!— however, there was a natural break in the adult director roles, so I jumped in, running a phrase from Psalm 107 (translation by Pamela Greenberg) through my mind: They cried out to you about all that made quiver their minds. From all constraints, you lifted them safely away. I had two agendas. First, that a pageant is a procession with a tableau, not a play. And second, that the story be narrated as it is in the scriptural texts. Oh, one more item: I wanted a swaddled baby doll, not a real baby, to play Jesus. (I was thinking of Coco the cat and the real possibility of a screeching infant. I’m sure Jesus squawked, as all babies do, but just not for this pageant, please.) Others agreed, and off we went. I put together a new script, added a verse of appropriate carols for traveling music to get shepherds, angels, Magi, and the pregnant espoused Mary up the aisle, her faithful, beloved Joseph at her side. Besides the Narrator, there was only one speaking part for a child. The Angel Gabriel announces to Mary her key role: helping God do a new thing in the world. 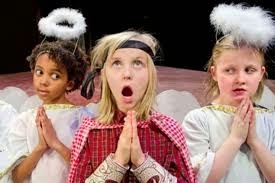 Our Gabriel, a beautiful young girl of about 10 delivered her one line with angelic flourish and we got a tall redheaded boy to be the Star of wonder. Gabriel's offer was one the young Mary could not refuse. Well, she protested a little. Scripture, tactfully, doesn’t tell us much about Joseph’s feelings, but we can only imagine. My bet is that he helped deliver his son. The night before the pageant I had a small nightmare: what if we don't have enough wings for all the angels? But I needn't have worried. The marvelous sea of childhood chaos, earnestness, and innocent wisdom prevailed to offer this gift to parents, to the church, and most of all to Christ. We all helped God get Jesus Christ born again this year. 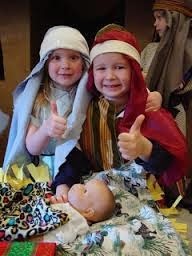 Thumbs up and high fives....... we did it: Christ is born again in Bethlehem or Massachusetts or Anywhere. In the beginning was the Word, and the Word was with God, and the Word was God. 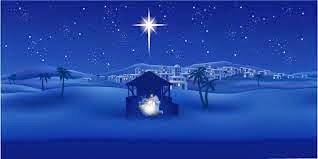 And the Word became flesh and lived among us, and we have seen his glory, the glory as of a father’s only son, full of grace and truth. And sure enough, my mind stopped quivering and I felt born again myself!